Prepare yourself, ladies and gentlemen, because we are about to get involved in another meal kit mega battle! Two of the leaders in the industry are about to go into the arena, and we are going to break down the fight just for you! 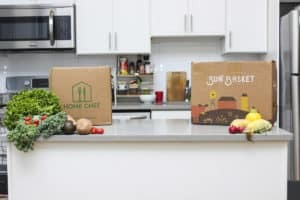 Blue Apron vs Home Chef- full comparison! Home Chef provides slightly more flexibility with plans for 2, 4 or 6 people, with a minimum selection required of 2 dishes per week (there are no maximum limitations with Home Chef). With their new “Customize It” feature, you can swap proteins, upgrade to a higher quality cut of meat or even double the amount of protein in your selected meals with the “Customize It” logo. Blue Apron offers its customers two different plan options. There is a plan for two people or a family plan for four people. The two-person plan offers either 2 or 3 recipes per week, whereas the family plan offers a choice of 4 dishes per week. When it comes to the variety of dishes, Home Chef offers a flexible option. They have a total of 18 dishes per week including 3 5-minutes no-cooking-required lunch option. Yet regardless of the number of people your plan covers, you can choose from all of them. 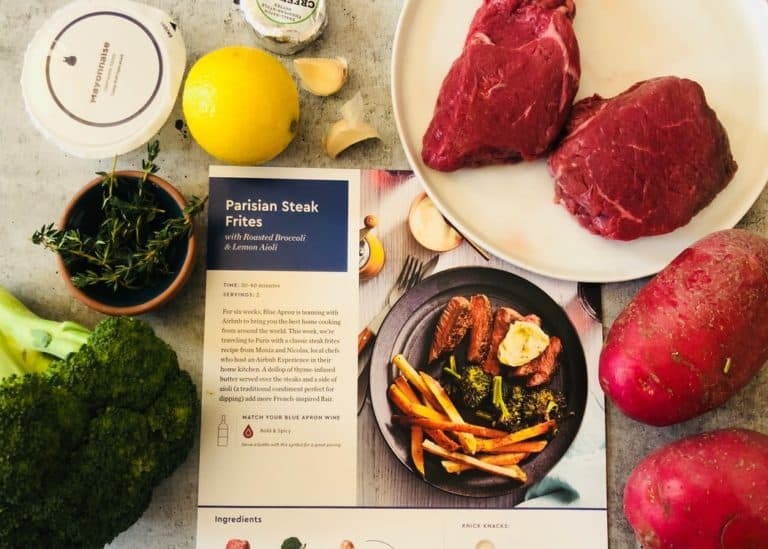 Blue Apron offers its customer an amount of 8 dishes per week in the classic two-person plan, and 4 dishes for the family plan. 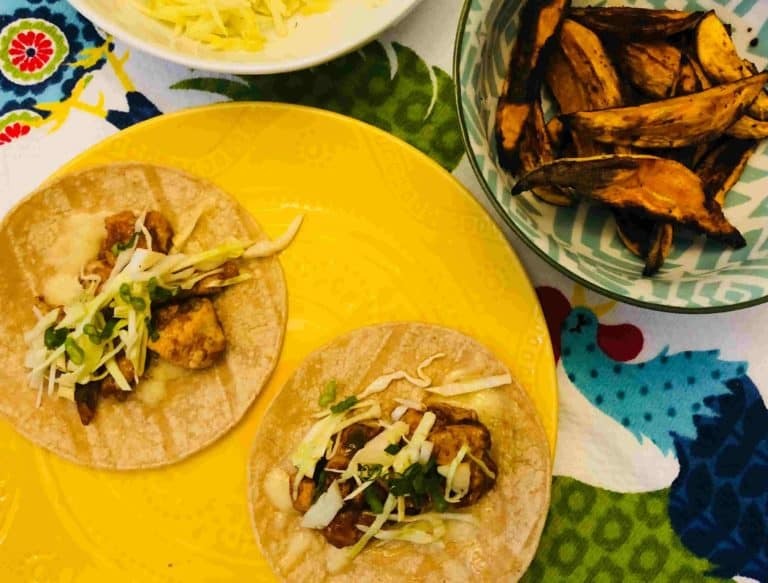 Both Blue Apron and Home Chef offer dishes that taste great and everything we tried was delicious! It would appear that Home Chef are trying to focus on family home dinners, so the recipes tend to be quite classic, with some twist. They are not over the top sophisticated or complicated and they appropriate for adults, kids, and teens. Blue Apron offers a bit more upscaled meals options, but with easy-to-follow recipes. Few dishes we tried from Blue Apron: Curry Chicken & Vegetables, Roasted Fall Vegetable & Farro Salad or a more classic dish like Parisian Steak Frites. 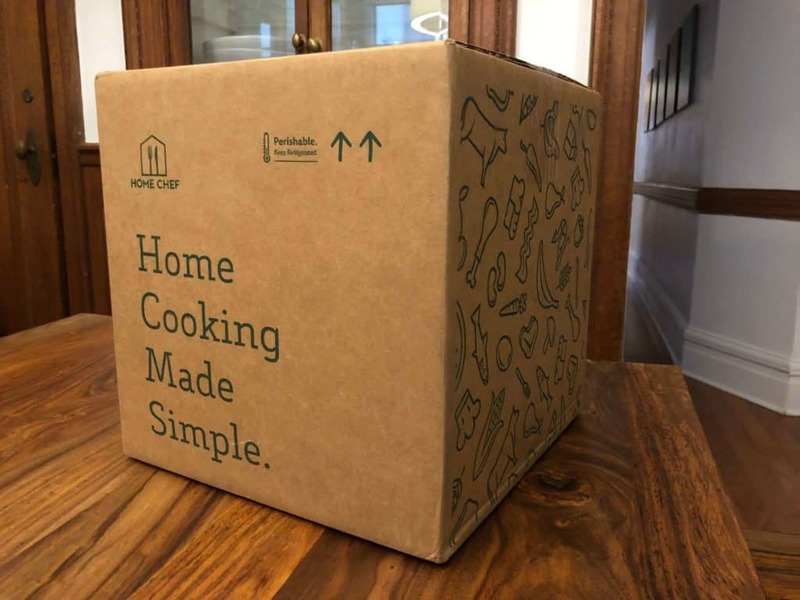 After receiving boxes from both companies, I can safely say that the meal kits of both Blue Apron and Home Chef use high-quality ingredients. Home Chef has partnered with a selection of well-known quality producers to provide their ingredients. Some of these include Paysan Breton Butter, ‘World Wide farms’ for fresh herbs and vegetables and ‘Sea to Table’ for sustainably sourced seafood. When looking at Blue Apron, they guarantee that they only use meat with no added hormones, all vegetables are farm fresh and where possible organic and all seafood is sustainably sourced. Both Blue Apron and Home Chef use specifically designed and labeled carton boxes. Inside the box, both place the cooled proteins on the bottom with sufficient ice, so you can be confident that the box can stay outside for few hours. Home Chef ensures that each dish is individually organised. Each dish arrives in its own labeled transparent plastic bag. The box is very organised, and you can clearly see the ingredients in each bag. Blue Apron, on the other hand, does not provide labels on most ingredients and they are all packed in together in the box. So, you will need to sort out the ingredients of each dish. The only thing that is wrapped is a small bag with the spices and seasonings. 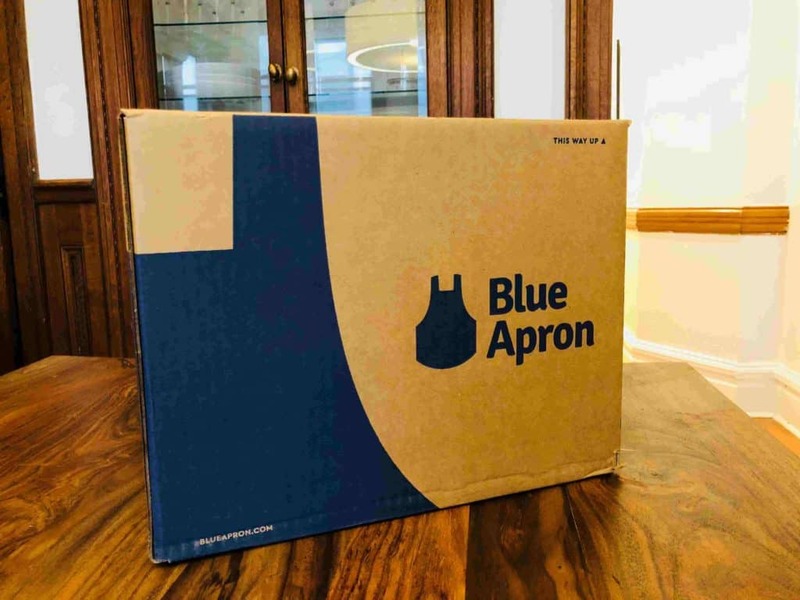 Both Blue Apron and Home Chef provide a subscription service, there is not the option of ordering on a one-off basis. They do offer the flexibility holding your account though if you do need to skip a week on occasion. 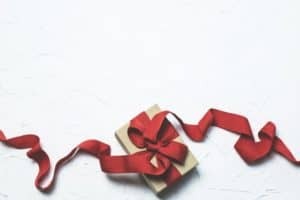 They also offer the flexibility of picking your delivery day. 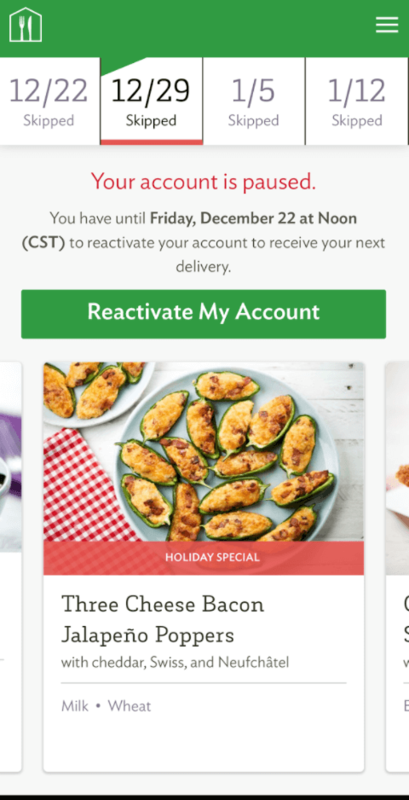 With Home Chef you can look after account cancellation via the website. When canceling your account with Blue Apron, you need to contact customer support via email, with same day response. Home Chef offers 3 great and very day-to-day useful add-ons – a great selection of 5-minutes no cooking required lunches, including salads, sandwiches and bowls, each cost 7.99$ per serving, a smoothie which changes flavor each week and a seasonal fruit basket, both of which cost $4.95 each. 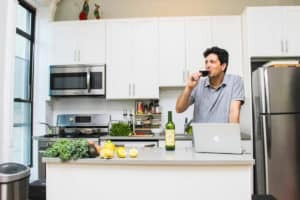 Blue Apron also offers a large selection of wines as a monthly subscription, cost 65.99$ including shipping for 6 bottles of your selection – which is a lovely feature. They even provide recommendations for the right wines to accompany each dish! They also have a retail service which provides cookware and other basic kitchen supplies. 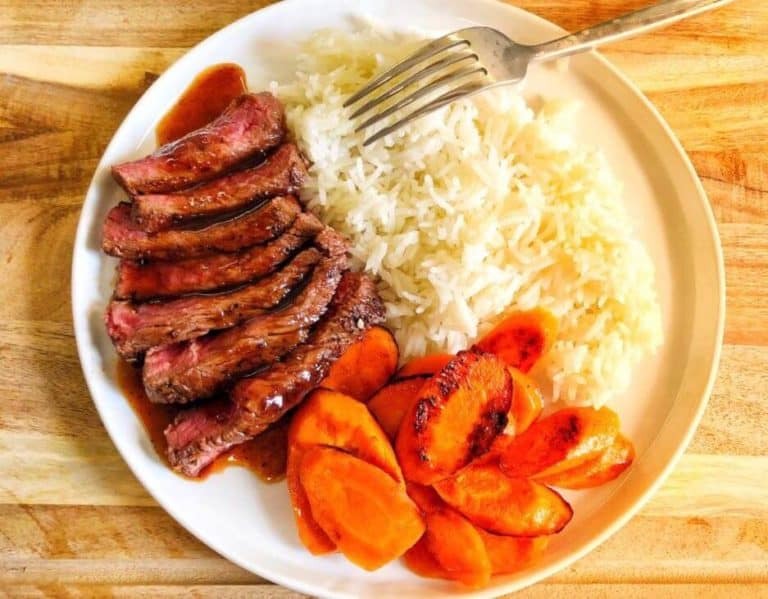 Both Home Chef and Blue Apron are very good meal kit service options and appealing to more or less the same audience, that looks for classic familiar dishes but do want some twist or interesting edge. 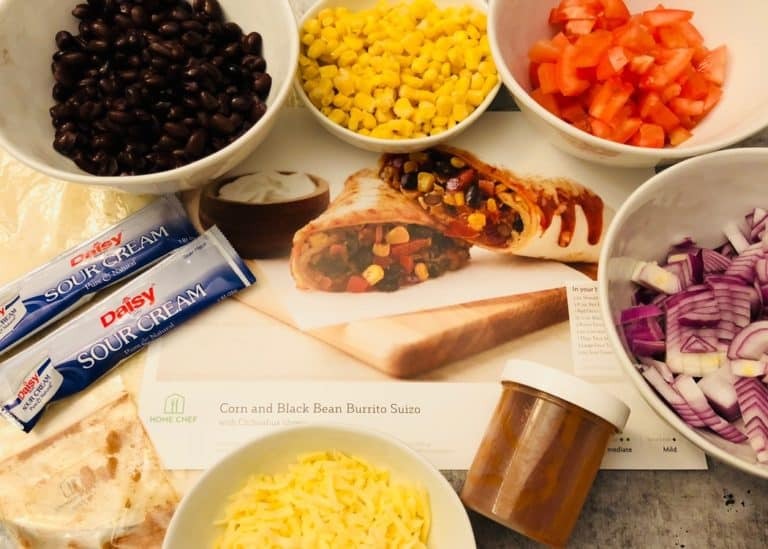 However, we found the offering of Home Chef better in almost any aspect – The taste of their recipes, the amount and variety of dishes per week, the portions of the dishes, the flexibility that the “customize it” feature gives you as a customer and the convenience of the packaging! Also, their 5-minutes lunch, smoothies, and seasonal fruits basket add-on options are great!